The Katawa Shoujo Japanese translation team got a desk in the coming Winter Comiket, Comiket 81. The location and dates are: Dec 31 (Sat - Day 3) East "Pe" (ペ） Block 15a (East-5 hall). Our new doujinshi is a B5 sized artbook of 20 pages, just like the summer artbook. Artists from the development team as well as the Shimmie regulars contributed their masterpieces. 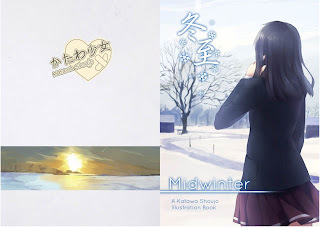 The book is titled "Midwinter", in contrast to the previous book, and will be distributed at 400 JPY. 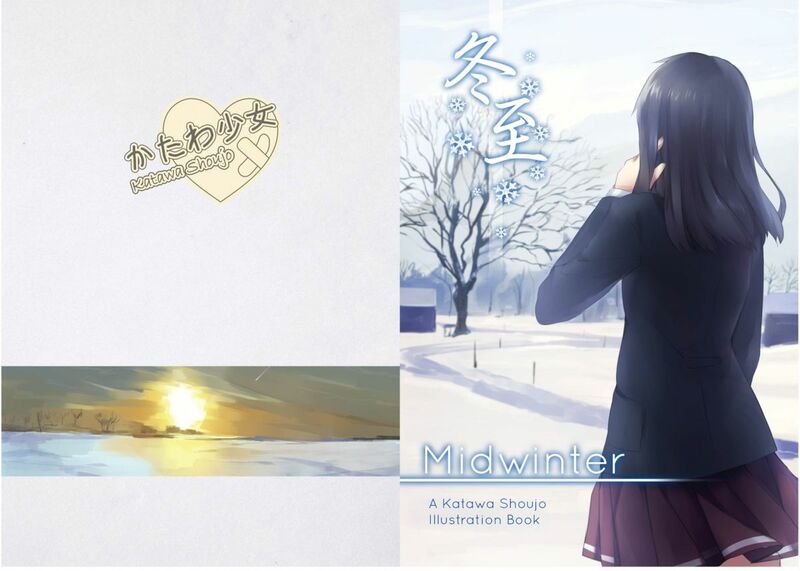 They will be bringing additional stock of the summer artbook "Fragments of Summer" to Comiket as well.